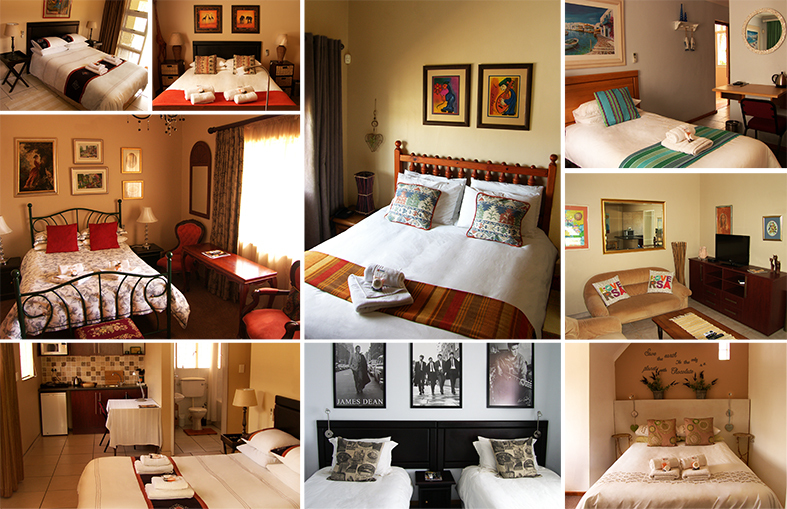 Centrally situated 5km from the N1 high way to Cape Town, 16 km from the airport and within walking distance of Tyger Valley Mall’s restaurants, Sontyger is the ideal guesthouse to stay for a lovely home from home ambiance. Our rooms and self-catering units with TV, air-conditioning and secure parking, cater for both corporate guests and holidaymakers with Table Mountain, the V&A Waterfront, wine lands and beaches less than 30 minutes away. The rooms at Sontyger Guest House can accommodate 11 single persons or 24 sharing persons at one time. There are 1 single room, 3 twin rooms, 4 double bed rooms, 1 family room and 2 self-catering units. Separate guest lounge overlooking the swimming pool courtyard. Gym equipment, braai facilities & beverages available . Ample secure parking, with CCTV camera surveillance, for 8/9 vehicles can be provided . Additional services, such as laundry & dinners , are available on request, during weekdays. Airport & other transfers can be provided for our guests. At Sontyger, management “walks the extra mile” if necessary to ensure that their guest’s needs are attended to. Our aim is to ensure that our guests feel at home when staying with us.